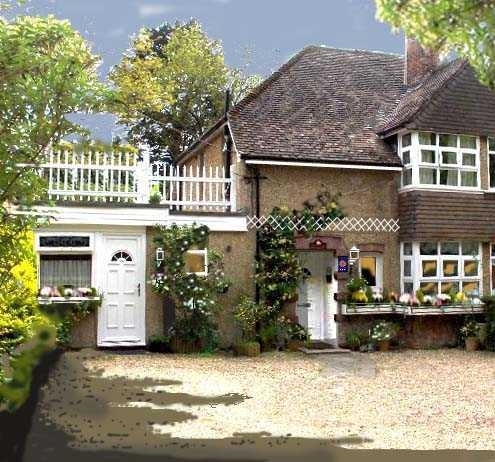 The bed and breakfast has three recently refurbished, light and airy rooms. There are two double rooms and one twin all of which have en-suite facilities, breakfast table and chairs, TV and tea and coffee making facilities. A choice of a large continental or a full English breakfast is included. Winchester is located just three miles away, Southampton International Airport is five miles away and the M3 is just one mile away. Off road parking is available to all guests. By road: exit M3 at junction 11. Take B3335 to Twyford. At Twyford Post Office traffic lights continue straight on, then turn right into Manor Road immediately after car sales. Orchard House is the fourth house on the left hand side. By public transport: from Shawford railway station turn right and pass the Bridge inn. Follow the road until the traffic lights, turn right and pass the Phoenix pub and car sales. Turn right into Manor Road. Orchard House is the fourth house on the left.